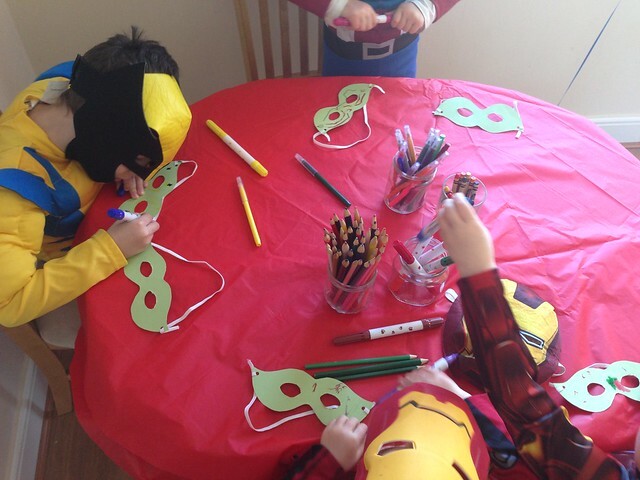 Bee's Circus: A Superhero Party. 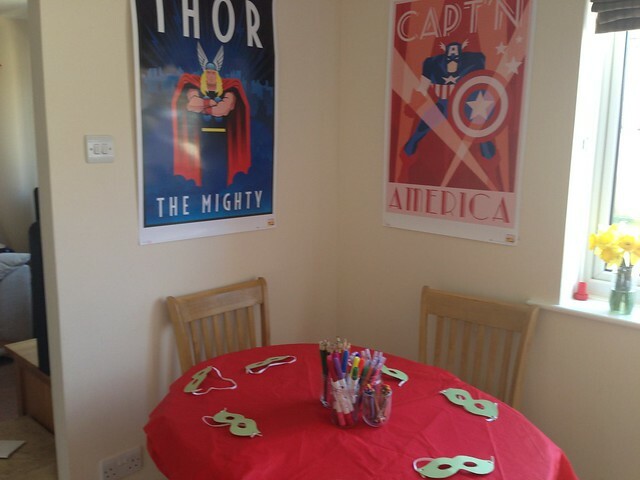 A really simple, Marvel Superhero party for my boy's fifth birthday. 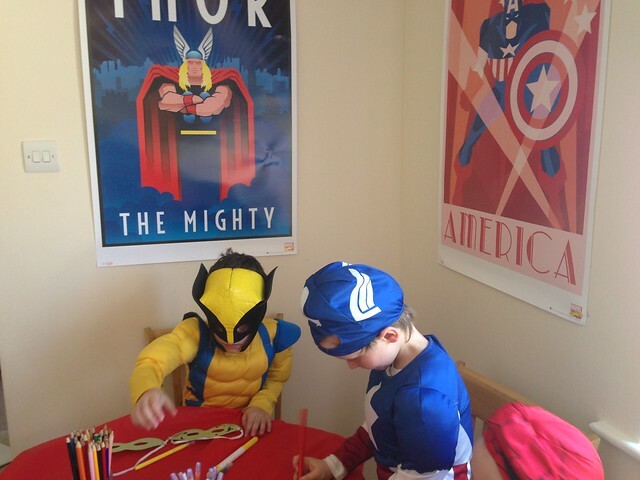 We decorated with retro posters from Amazon, Marvel memorabilia and gold balloons. 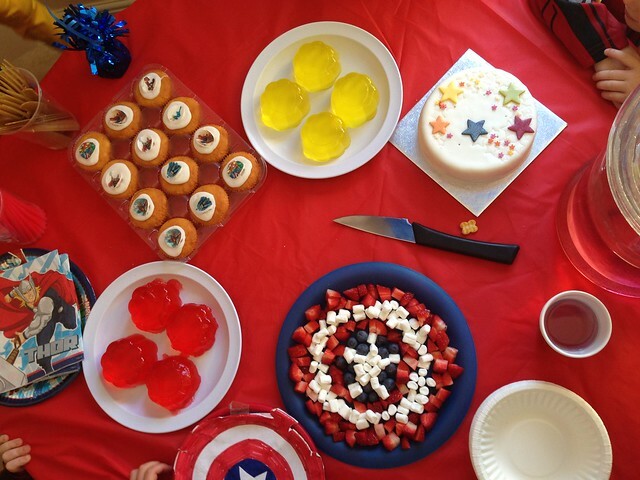 I bought an Avengers cake from ASDA, Avengers plates and cups from eBay and went with red for all the other details. 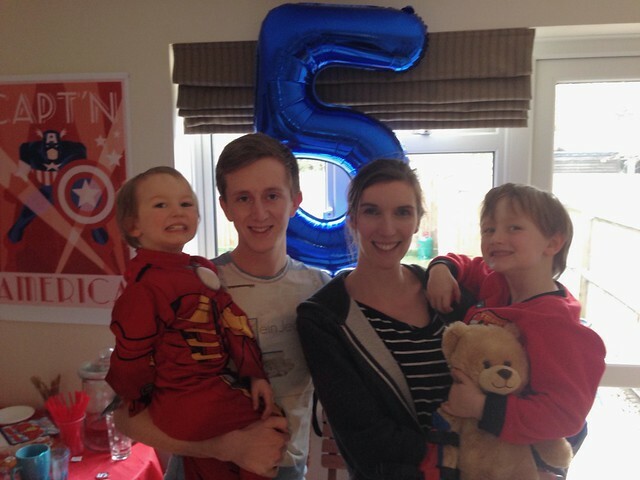 The giant number balloon is becoming a fun birthday tradition. 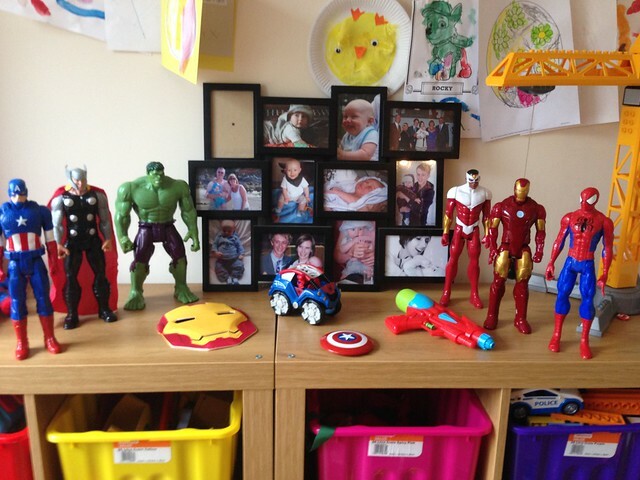 Daniel's presents were Avengers themed too, Captain America to add to the collection of figures, the Marvel encyclopedia and the Lego Marvel game for the Xbox. 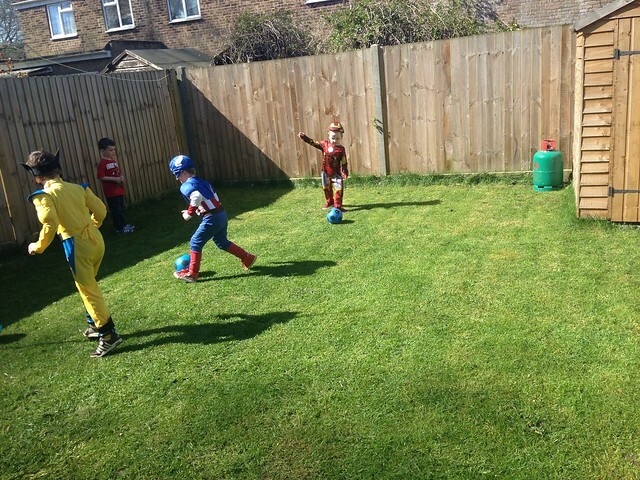 Thankfully it was warm and sunny so we let the boys run around outside, chasing bad guys and playing football, before ushering them in to make superhero masks. I found a template online, cut them out of card, threaded elastic through and let them go to town decorating. 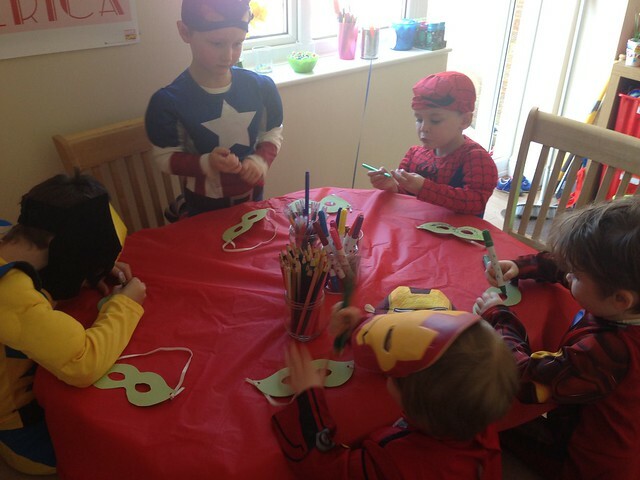 Lunch went down a storm, I forgot how much boys eat! 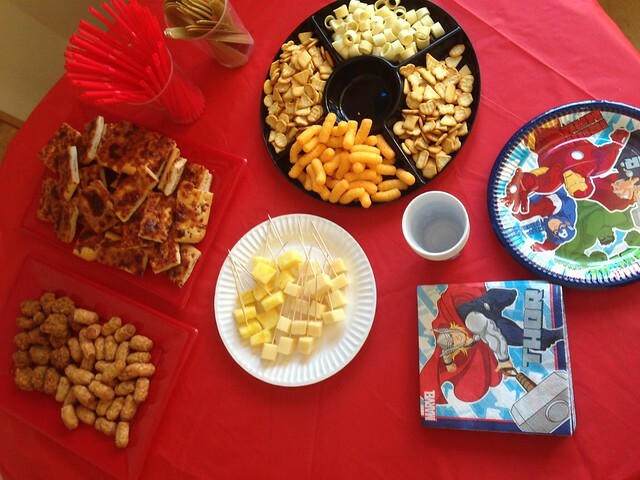 Thor hammer cheese and pineapple on sticks, pizza, mini sausages and chicken bites and crisps, proper party food. A quick game of pass the parcel before dessert; jelly and ice cream and cake! 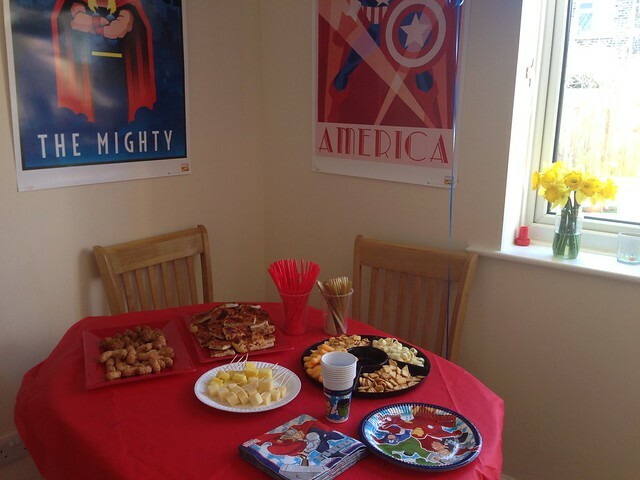 It was just a small, short party for the kiddos, and our families came over in the afternoon for tea and cake too. 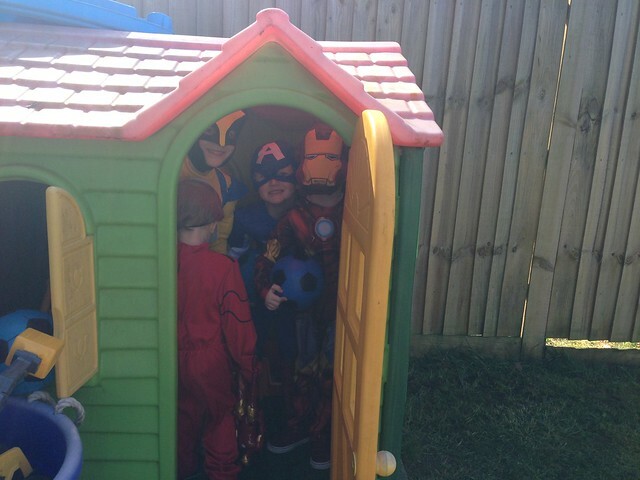 Daniel had an awesome day, he had so much fun and was so spoiled, we are so grateful to everyone who came and celebrated with us or wished him a happy birthday! 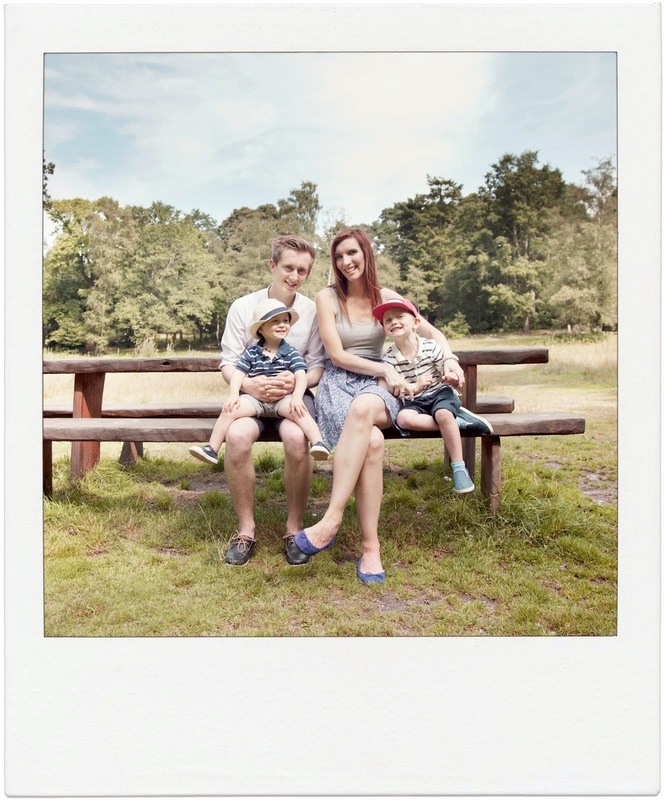 I am pleased I didn't put myself under pressure with a huge Pinterest inspired event, with everything we have going on, as he enjoyed it just the same!